"A unique twist on regular chocolate chip cookies." These are great cookies! They aren't the prettiest since they do have a green coloring, but they sure are tasty!! 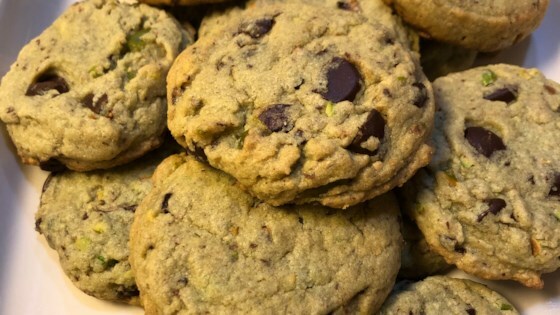 This is a great recipe if you don't want an ordinary chocolate chip cookie. Very good and unique cookies! I substitued choc. chips with white chocolate chips which looked good with the green-tinted dough. These would be good for a St. Patrick's Day or Christmas party. I reduced the flour as others suggested and I could see why the dough would barely mix. Even doing this these cookies turned out terrible. I will not be making these again!